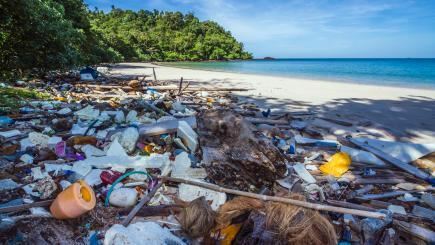 There has been much discussion in the media recently about plastic, which has really been brought home to many of us through programmes like the Blue Planet. Around 8 million metric tons of plastic waste enters the ocean, where it can prove fatal to marine life. Pictures like the one below, have inspired many of us to try and reduce our plastic consumption to try and protect our oceans. Reducing the amount of plastic is important to us here at field fare and is one of the key differences with our loose frozen products which we have been selling for over 40 years. Selling loose means customers buy only what they need and reduces packaging to a single, recyclable bag which is a significant plastic waste saver. We are also currently looking at replacing the plastic bags with either a biodegradable or compostable bag. If you are looking for ways to reduce your plastic consumption here are 5 easy ways…. Making a few small changes can make a big impact on the amount of plastic we use on a day to day basis & ultimately keep the marine life safe in our oceans. WIN a Cook’s Professional Stand Mixer! 5 Amazing Facts about Pies that you probably didn’t know!